Welcome to Howard County’s Green Map, an area view of green living, nature and cultural resources right here in your own backyard. As our sustainable community continues to grow, so too will our Green Map. Current listings include Environmental Organizations, Farm, Green Business, Green School, Green Technology, Historic/Cultural Site, LEED Building, Park/Natrual Area, Waste/Recycling and Bus Stops and Routes. We invite you to take a moment to explore all that Howard County has to offer. If you would like to submit updates or locations that you feel should be added to the map please complete a Contact Us request and we will gladly review your idea. 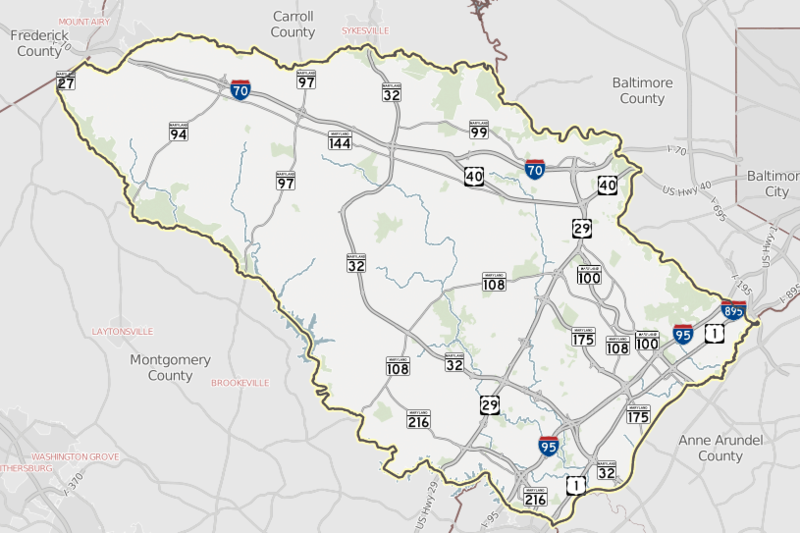 Visit https://data.howardcountymd.gov/ggreenmap/GreenMap_Web.aspx to try out the interactive map.